Leadership comes from all places…. I’ve shared Pope Francis’s Letter to the People of this Earth about the Environmental Crisis facing us all already on this Blog — and now I must share the letters of other people of Faith and Spirit that recognize the challenges we must address if we are to live and thrive on this beautiful Earth. Encouraged by Pope Francis Papal Encyclical for the Environment, more than Three hundred and eighty US Rabbis, now call for Vigorous Climate Action and strong Ecological and Social Justice today. 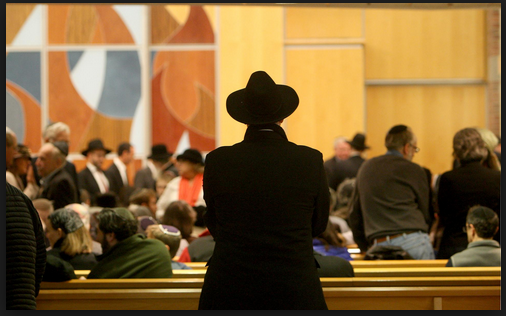 Because as of June 2015, more than 380 Rabbis in the United States of America, have signed a Rabbinic Letter based on the Torah that clearly brings Environmental and Climate Crisis Action to the faithful, by calling for vigorous participatory action, awareness of the human causation of this catastrophic problem, and the need for shifting habits and patterns of thought & action, in order to prevent worsening climate disruption and to seek ecological and social justice. The text of the Rabbinic Letter and its signers follow here below. The Rabbinical Letter was initiated by seven leading rabbis from a broad spectrum of American Jewish life: Rabbi Elliot Dorff, rector of the American Jewish University; Rabbi Arthur Green, rector of the Hebrew College rabbinical school; Rabbi Peter Knobel, former president, Central Conference of American Rabbis; Rabbi Mordechai Liebling, director of the Social Justice Organizing Program at the Reconstructionist Rabbinical College. ; Rabbi Susan Talve, spiritual leader of Central Reform Congregation, St. Louis; Rabbi Arthur Waskow, director of The Shalom Center; and Rabbi Deborah Waxman, president of the Reconstructionist Rabbinical College. They were joined by Rabbi Irving (Yitz) Greenberg, a leader of the Orthodox community. The full text and the list of signatories follows. ” We come as Jews and Rabbis with great respect for what Scientists teach us – for as we understand their teaching, it is about the unfolding mystery of God’s Presence in the unfolding universe, and especially in the history and future of our planet. Although we accept scientific accounts of earth’s history, we continue to see it as God’s creation, and we celebrate the presence of the divine hand in every earthly creature. — You sea-monsters and all deeps, Hallelu-Yah. Stormy wind to do God’s word, Hallelu-Yah. We know all Earth needs not only the joyful human voice but also the healing human hand. We are especially moved when the deepest, most ancient insights of Torah about healing the relationships of Earth and human earthlings, adamah and adam, are echoed in the findings of modern science. The texts of Torah that perhaps most directly address our present crisis ar Leviticus 25-26 and Deuteronomy 15. They call for one year of every seven to be Shabbat Shabbaton – a Sabbatical Year – and Shmittah – a Year of restful Release for the Earth and its workers from being made to work, and of Release for debtors from their debts. In Leviticus 26, the Torah warns us that if we refuse to let the Earth rest, it will “rest” anyway, despite us and upon us – through drought and famine and exile that turn an entire people into refugees. This ancient warning heard by one indigenous people in one slender land has now become a crisis of our planet as a whole and of the entire human species. Human behavior that overworks the Earth – especially the overburning of fossil fuels — crests in a systemic planetary response that endangers human communities and many other life-forms as well. sea-level rises, and the expansion of disease-bearing insects from “tropical” zones into what used to be “temperate” regions. Leviticus 26 embodied. Scientific projections of the future make clear that even worse will happen if we continue with carbon-burning business as usual. As Jews, we ask the question whether the sources of traditional Jewish wisdom can offer guidance to our political efforts to prevent disaster and heal our relationship with the Earth. Our first and most basic wisdom is expressed in the Sh’ma and is underlined in the teaching that through Shekhinah the Divine presence dwells within as well as beyond the world. The Unity of all means not only that all life is interwoven, but also that an aspect of God’s Self partakes in the interwovenness. We acknowledge that for centuries, the attention of our people – driven into exile not only from our original land but made refugees from most lands thereafter so that they were bereft of physical or political connection and without any specific land – has turned away from this sense of interconnection of adam and adamah, toward the repair of social injustice. Because of this history, we were so much pre-occupied with our own survival that we could not turn attention to the deeper crisis of which our tradition had always been aware. But justice and earthiness cannot be disentangled. This is taught by our ancient texts – teaching that every seventh year be a Year of Release, Shmittah, Shabbat Shabbaton, in which there would be not only one year’s release of Earth from overwork, but also one year’s sharing by all in society of the Earth’s freely growing abundance, and one year’s release of debtors from their debts. Indeed, we are especially aware that this very year is, according to the ancient count, the Shmita Year. The unity of justice and Earth-healing is also taught by our experience today: The worsening inequality of wealth, income, and political power has two direct impacts on the climate crisis. On the one hand, great Carbon Corporations not only make their enormous profits from wounding the Earth, but then use these profits to purchase elections and to fund fake science to prevent the public from acting to heal the wounds. On the other hand, the poor in America and around the globe are the first and the worst to suffer from the typhoons, floods, droughts, and diseases brought on by climate chaos. So we call for a new sense of eco-social justice – a tikkun olam that includes tikkun tevel, the healing of our planet. We urge those who have been focusing on social justice to address the climate crisis, and those who have been focusing on the climate crisis to address social justice. Though as rabbis we are drawing on the specific practices by which our Torah makes eco-social justice possible, we recognize that in all cultures and all spiritual traditions there are teachings about the need for setting time and space aside for celebration, restfulness, reflection. Yet in modern history, we realize that for about 200 years, the most powerful institutions and cultures of the human species have refused to let the Earth or human earthlings have time or space for rest. By overburning carbon dioxide and methane into our planet’s air, we have disturbed the sacred balance in which we breathe in what the trees breathe out, and the trees breathe in what we breathe out. The upshot: global scorching, climate crisis. The crisis is worsened by the spread of extreme extraction of fossil fuels that not only heats the planet as a whole but damages the regions directly affected. § Fracking shale rock for oil and “unnatural gas” poisons regional water supplies and induces the shipment of volatile explosive “bomb trains” around the country. § Coal burning not only imposes asthma on coal-plant neighborhoods – often the poorest and Blackest – but destroys the lovely mountains of West Virginia. § Extracting and pipe-lining Tar Sands threatens Native First nation communities in Canada and the USA, and endangers farmers and cowboys through whose lands the KXL Pipeline is intended to traverse..
§ Drilling for oil deep into the Gulf and the Valdez oil spill in Prince William Sound off the Pacific have already brought death to workers and to sea life and financial disasters upon nearby communities. Proposed oil drilling in the Arctic and Atlantic threaten worse. All of this is overworking Earth — precisely what our Torah teaches we must not do. So now we must let our planet rest from overwork. For Biblical Israel, this was a central question in our relationship to the Holy One. And for us and for our children and their children, this is once again the central question of our lives and of our God. HOW? — is the question we must answer. § Insisting that our tax money go no longer to subsidizing enormously profitable Big Oil but instead to subsidizing the swift deployment of renewable energy — as quickly in this emergency as our government moved in the emergency of the early 1940s to shift from manufacturing cars to making tanks. § Convincing our legislators to institute a system of carbon fees and public dividends that rewards our society for moving beyond the Carbon economy. These examples are simply that, and in the days and years to come, we may think of other approaches to accomplish these ecological ends. America is one of the most intense contributors to the climate crisis, and must therefore take special responsibility to act. Though we in America are already vulnerable to climate chaos, other countries are even more so –– and Jewish caring must take that truth seriously. Israeli scientists, for example, report that if the world keeps doing carbon business as usual, the Negev desert will come to swallow up half the state of Israel, and sea-level rises will put much of Tel Aviv under water. Israel itself is too small to calm the wide world’s worsening heat. Israel’s innovative ingenuity for solar and wind power could help much of the world, but it will take American and other funding to help poor nations use the new-tech renewable energy created by Israeli and American innovators. We believe that there is both danger and hope in American society today, a danger and a hope that the American Jewish community, in concert with our sisters and brothers in other communities of Spirit, must address. The danger is that America is the largest contributor to the scorching of our planet. The hope is that over and over in our history, when our country faced the need for profound change, it has been our communities of moral commitment, religious covenant, and spiritual search that have arisen to meet the need. So it was fifty years ago during the Civil Rights movement, and so it must be today. As we live through this Shmittah Year, we are especially aware that Torah calls for Hak’heyl — assembling the whole community of the People Israel during the Sukkot after the Shmittah year, to hear and recommit ourselves to the Torah’s central teachings. So we encourage Jews in all our communities to gather on the Sunday of Sukkot this year, October 4, 2015, to explore together our responsibilities toward the Earth and all humankind, in this generation. Our ancient earthy wisdom taught that social justice, sustainable abundance, a healthy Earth, and spiritual fulfilment are inseparable. Today we must hear that teaching in a world-wide context, drawing upon our unaccustomed ability to help shape public policy in a great nation. On behalf of the People of this Earth and of the Environmental Parliament we are most Grateful for the Intercession of these visionary Rabbis who choose to stand with us on this extraordinary issue of combating the unfolding Climate Crisis.